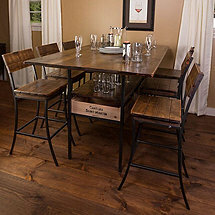 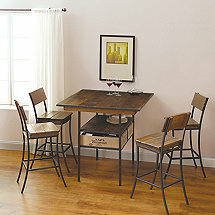 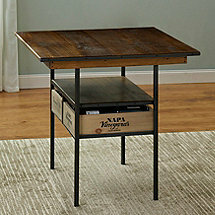 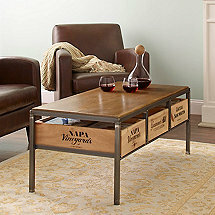 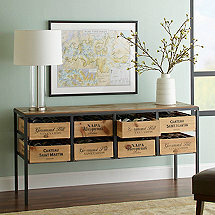 Napa Valley meets industrial chic in a timeless design. 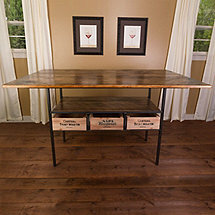 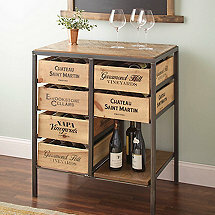 Pieces constructed from hand worked steel paired with vintage style wine crates for storage. 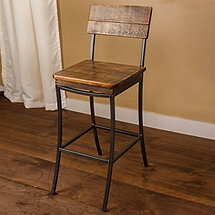 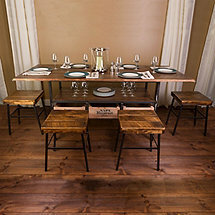 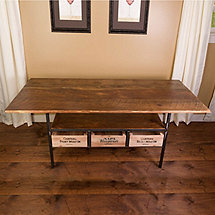 Designed using distresses reclaimed wood with a weathered patina.